An exclusive, exquisite interpretation of wood: the excellence of an original design and a sophisticated, attractive style. 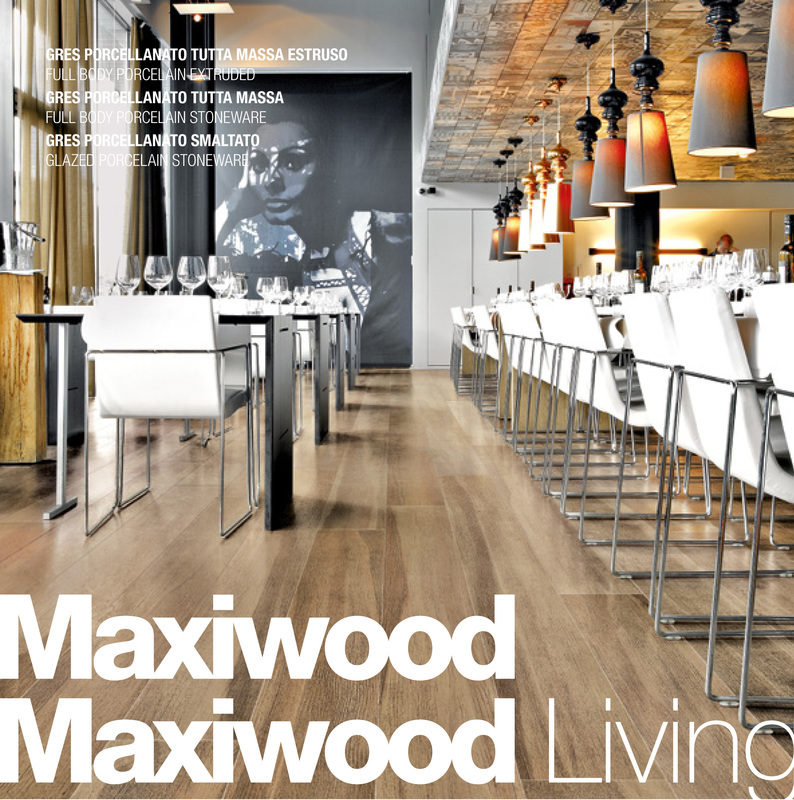 Maxiwood is an elegantly satin-touch finish: the feeling of natural wood with top-class technical performance, and a huge range of sizes. Bright and beautiful, the Maxiwood Living surface is produced by a special mechanical honing procedure and gleams elegantly in the light. Research has created a truly special look and a unique personality, that expresses all its potential in the large spaces of public premises. Modern, original, mixable colours: perfect as floor and wall coverings for contemporary interiors, with an absolutely chic mood.